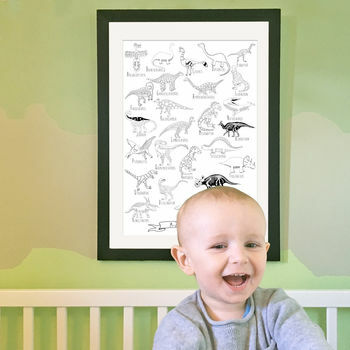 Quirky and unique, this art print is sure to start a conversation once it is framed and on your wall. This art print features an illustration of a dinosaur alphabet including illustrations of stegosaurus, brontosaurus and t-rex. 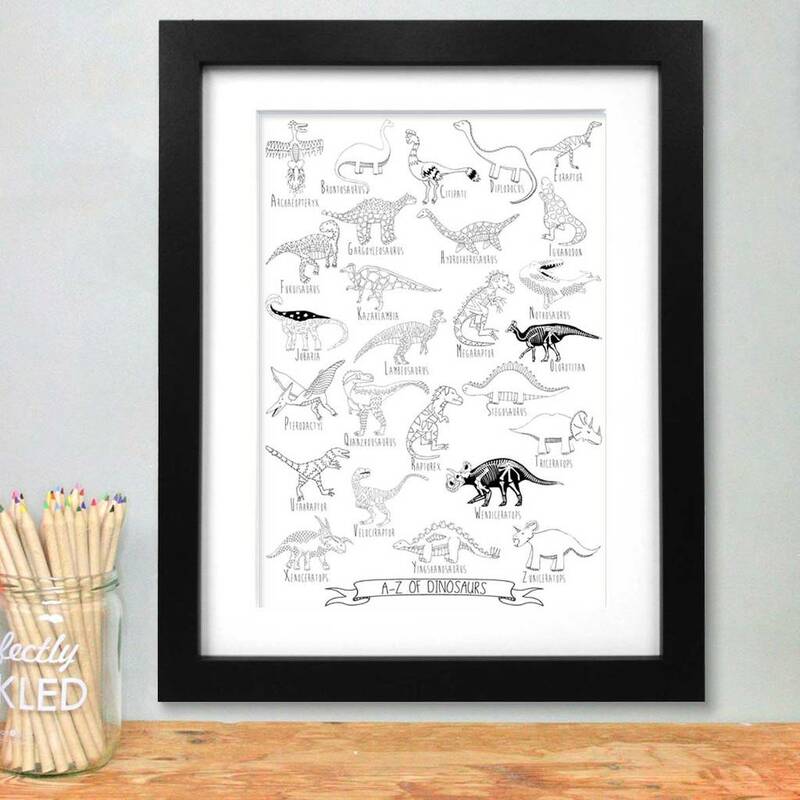 You could even colour in this print before hanging it. 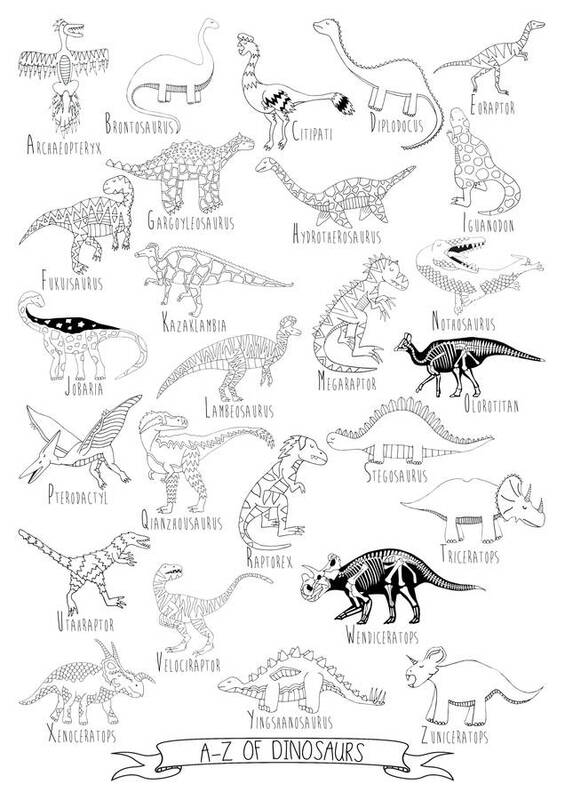 This print would make a perfect art print for a child's bedroom wall or a gift for someone who loves dinosaurs.